Several weeks ago I had the opportunity to visit downtown West Chester, Pa not just for a change of scenery, (which I enjoy every month or two), but also to learn more about the history of the area. I learned that the borough of West Chester has been known as a haven for hospitality since the 1760s when Phineas Eachus was licensed to build a tavern in the area. Today it's a growing region that is drawing increasing interest from out-of-towners seeking a getaway. Shoppers, history buffs, foodies and art enthusiasts will all likely find something enchanting in the walkable little town. The West Chester downtown historic district earned a place on the National Register of Historic Places in 1985 with its impressive number of structures built between 1789 and the 1930s and the centrally located family owned and operated Hotel Warner, is just one of them. The lobby of the Hotel Warner features the original theater staircase. A floor-to-ceiling photo hangs in the lobby to give guests a glimpse into the days of yore. The hotel welcomes guests today with 80 comfortable rooms and amenities like free wi-fi, an indoor pool, a free breakfast buffet, and a workout room, but the structure was once home to a state-of-the-art theater that was renown for its over-the-top grandeur. This both enthralled and confused the local community sending the rumor mill into overdrive with speculation that it was all a big mistake and that the theater was intended for West Chester, New York, rather than West Chester, Pennsylvania. The outside of the Hotel Warner as viewed from the top of the Chestnut Street garage. Downtown West Chester is replete with eateries within walking distance of the Warner Hotel, some continuing in the tradition of repurposing that which once was. For example, Restaurant 51 is a fine example of an old-firehouse-turned-hip eating establishment. Located at 30 N. Church Street, the eatery has been popular with the locals since opening in February. The spacious interior decor, with its exposed brick, ductwork and Edison lights can be described as "industrial chic." For many, it is a gathering place to root for their favorite team, or just to knock back a few, grab a bite and socialize. The menu features casual fare like burgers, fries, soups, salads and entrees like chicken parmesan and fish and chips, with rotating craft brews, select wines and specialty cocktails rounding out the menu. The front of the Iron Hill Brewery, which was once home to a Woolworth's. Another popular area restaurant is the Iron Hill Brewery located at 3 Gay Street, where you'll find handcrafted beer served in a casual atmosphere. Both my husband and I decided to grab lunch there and we were not disappointed. I ordered the "Zeus Burger," which is named after the Greek god to highlight the Greece-inspired ingredients. All I know is that its good I don't live closer, or the New Years' diet resolutions would be out the window. The combination of lamb and beef was perfectly matched with cucumber, onion and feta. Add to that the crowning touches of garlic aioli and herb sauce and pile the entire shooting match on a brioche bun and there you have a cravable dish. Inside of the dining room of the Iron Hill Brewery. The "Zeus Burger" served with delicious homemade chips; I want another. With so many historic structures looming large in West Chester, it would be a pity to stroll by and guess at their provenance, so that's why Malcolm Johnstone makes himself available to those who are interested. Johnstone, history buff extraordinaire, tailors tours to time and interest and can be reached at mjohnstone@wcbid.com. One notable building guests will learn about on Johnstone's tour is located near the Chester County Historical Society. Horticultural Hall is known as the last West Chester commission of renowned architect Thomas U.Walter before he oversaw construction of the dome atop the U.S. Capitol. Walter used serpentine stone--a limestone extracted from the Taylor Quarry north of West Chester. Once guests learn about the limestone, they then recognize other buildings around town that also contain the green-hued stone. Another interesting structure is the historic post office, located at 101 E. Gay Street. The federal building was erected during a time when James Knox Taylor served as the supervising Architect of the Treasury at the turn of the 20th century. He believed that government buildings should be monumental, beautiful and constructed of the highest quality materials. The post office was built in two phases, with construction starting in 1907 and then resuming in 1935. Cockeysville Marble that was quarried at Baker's Station nearly 18 miles away was used in the construction and is said to glitter in the sunlight. I visited on a cloudy day, unfortunately. The William Darlington Building seen below and built in 1789 is considered the oldest surviving First Period structure and is dedicated to William Darlington, considered one of the fathers of West Chester. Darlington was an educator, botanist, banker and politician, who lived and worked at this location during most of his career. The William Darlington Building located at 13 North High Street. This picture of William Darlington hangs in the local historical society. First Bank of Chester County built in 1837, now occupied by Wells Fargo. Thomas U. Walter added his name to the structure. The Chester County Historical Society located at 225 North High Street is home to a research library of rare documents, photographs and newspapers spanning a period of 300 years. The Society hosts a variety of youth programs and features rotating exhibits. From now through December, guests can view the artwork of Adrian Martinez, who brings history to life with his exhibit titled, "The Visionary World of Humphry Marshall 1750-1800." The talented artist, who hails from D.C., tells the story of Chester County native Humphry Marshall, who is now viewed as a "renaissance man." Marshall used his talents working as a stonemason, farmer, astronomer, botanist and chemist, to name a few. Martinez describes Marshall as a "curious man," not unlike Benjamin Franklin and Thomas Jefferson. In his exhibit, Martinez depicts Marshall and the people around him as he imagines them to be, while, at the same time crediting another West Chester notable, William Darlington, who recognized that men such as Marshall should not be forgotten. Artist Andrian Martinez poses with his painting: Downings' Town, which depicts the peaceful aspirations of Quakers against the reality of war. West Chester is home to an eclectic mix of shops and visitors can spend hours browsing among all 75. For foodies, I recommend a visit to Carlinos--a market that sells a wide array of sweets, cheeses, olives, meats, pasta and other artisan creations designed to make your mouth water. The olive bar at Carlinos. 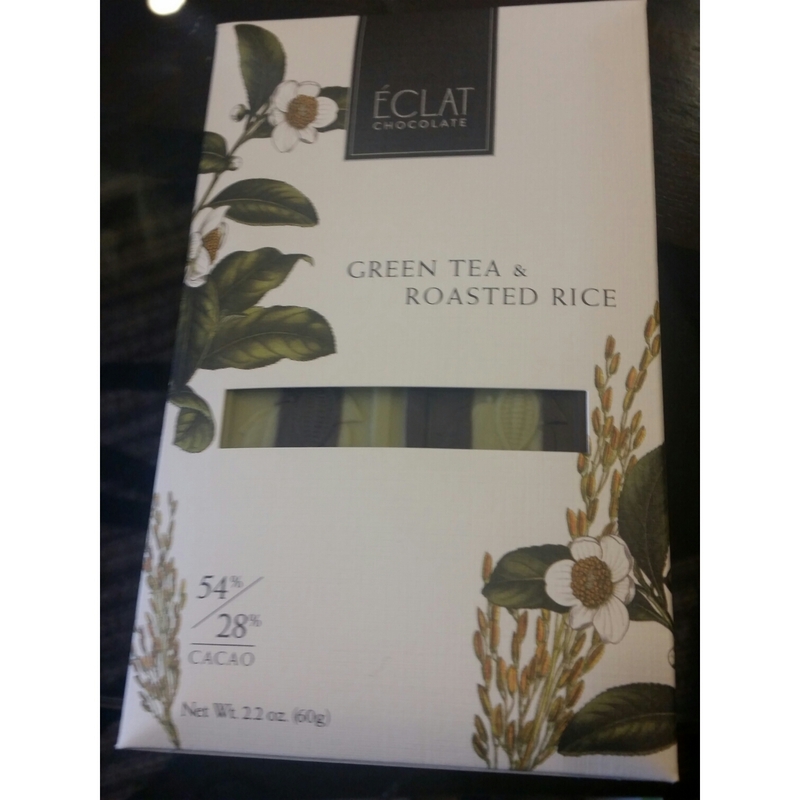 Chocolate aficionados won't want to miss Eclat, located at 24 S. High. Christopher Curtin pulls out all the stops to ensure that he provides his clientele with the highest quality chocolate available. The Master Chocolatier honed his skills at some of the finest chocolate houses in the world, from France, to Germany, Belgium, Switzerland and Japan. I recommend trying the lavender caramels and one of their unique "parallel bars," like the one shown here flavored with green tea and roasted rice. Curtin has worked with Anthony Bourdain and his chocolates have been recognized by Bon Appetit as some of the "Best Chocolates in America." He has appeared on CNN's "Parts Unknown," with Anthony Bourdain (Peru episode). He collaborated with Bourdain and chef Eric Ripert to create "Good & Evil," a chocolate bar embedded with nibs and crafted from dark Peruvian Pure Nacional chocolate that grows wild and was thought to be extinct. 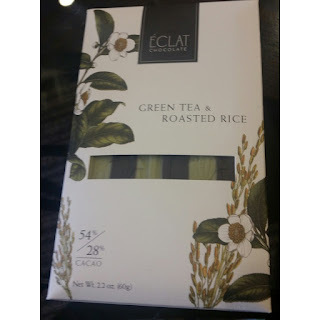 A few of the chocolate selections available at Eclat. West Chester isn't just for foodies. The many retail boutiques offer a wide selection of apparel, gifts, art and collectibles. As a matter of fact, West Chester was recently voted "Best New Shopping District" by Philadelphia Magazine and Frommers recognized it as one of the top 10 Best Small-town downtowns. Book lovers in search of a bargain can generally bank on finding something of interest at Second Reading Book Store at 32 N. Church Street. The small shop carries a range of books, most of which are $3 or less and sales proceeds benefit senior citizens. I picked up a like-new Malcolm Gladwell hardback for a mere $3. Second Reading sells used books at bargain prices. Downtown West Chester is growing and reaching out to an even wider variety of tastes for those, who like me, need a change of scenery every now and then. To keep up-to-date with what's happening in this burgeoning area, take a look at their website at www.downtownwestchester.com. FYI - the Iron Hill brewery building is also re-purposed. It was a Woolworth's and still retains the original ceiling. Thank you. I saw the cool Woolworth's sign on the ground when I walked in.